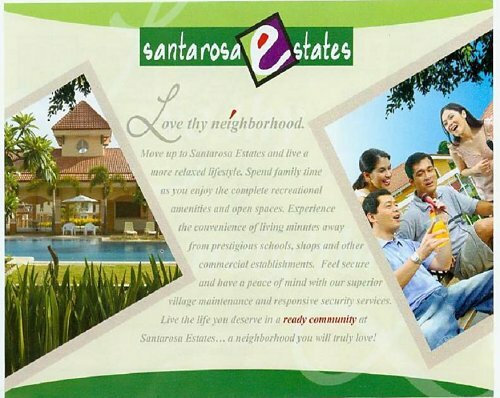 Santarosa Estates is an Avida Land community Sta. Rosa, Laguna. This high quality and affordable community is located near industrial parks, schools, a church and commercial center. From Santarosa Estates, Makati is less than an hour away (35 km). Plus, Tagaytay is but a short drive from Sta. Rosa. The schools near Avida Santarosa Estates are: De La Salle University, Brent School, St. Scholastica’s College, Ateneo Graduate School, Don Bosco. The nearby hospitals are: Perpetual Help Medical Center and the Metro South Medical Center.